Hundreds attended Saturday’s inaugural Dula Day of Service, where students, faculty, staff and community members came together to volunteer and serve the Johnson City area at various host sites around the area. 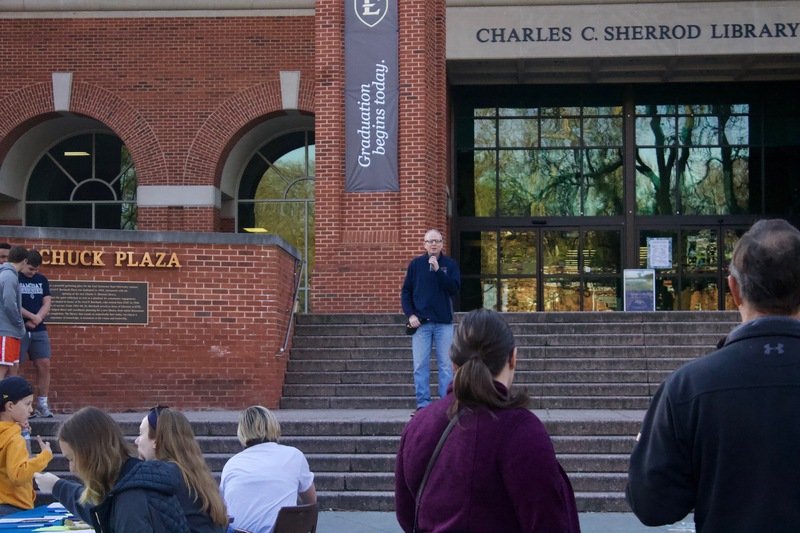 The Dula Day of Service was set in place to honor Dr. Chris Dula, a beloved ETSU professor who passed away after a lengthy battle with brain cancer in January, and was organized by the Office of Leadership and Civic Engagement and Volunteer ETSU. 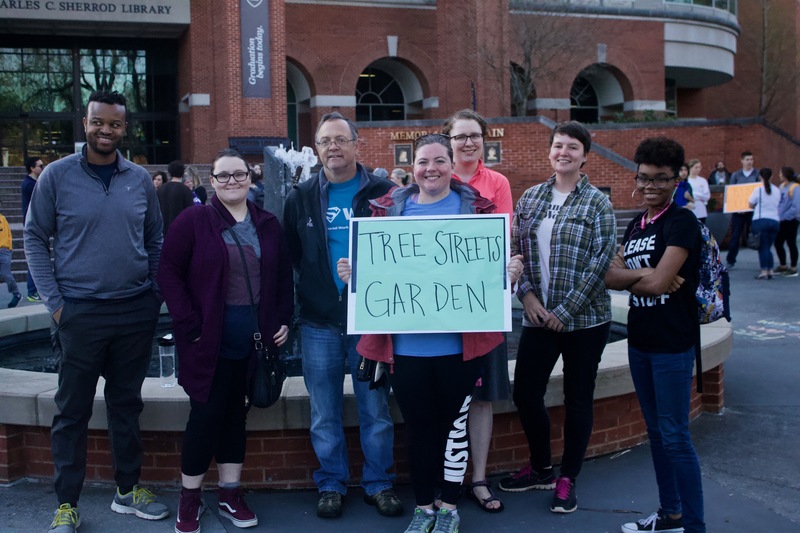 “I think it’s awesome [to honor Dr. Dula this way], I think he was just an awesome human being, and I think it’s really cool that we’re doing this,” said Lyn Govette, who oversaw the Tree Streets Garden Project. The Tree Streets Garden Project saw over 15 students and community members show up to do a winter cleanup of the Tree Streets’ community garden – a community garden that started back in 2011. Volunteers started working around 9 a.m., and several continued working well into the late afternoon. 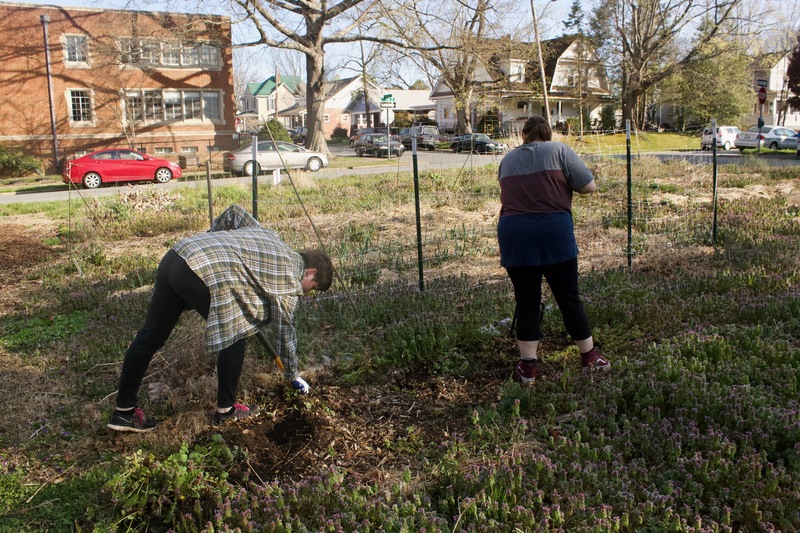 The day of service, which started with an opening ceremony shortly after 8 a.m., had 12 service sites scattered around the area from Johnson City, Piney Flats and ETSU. Over 200 people registered to volunteer by Saturday, hitting a goal Joy Fulkerson, director of the Office of Leadership and Civic Engagement, set for the project earlier in the week. “My personal goal for the day, in terms of people, I’d like to see a couple hundred people serving on Saturday,” said Fulkerson last Monday. While Fulkerson was able to hit her goal, it wouldn’t have been possible without strong community support – with several community members coming out to the Tree Streets Garden Project alone, with one, Mary Lee Jondahl, helping Lyn coordinate the garden’s cleanup.